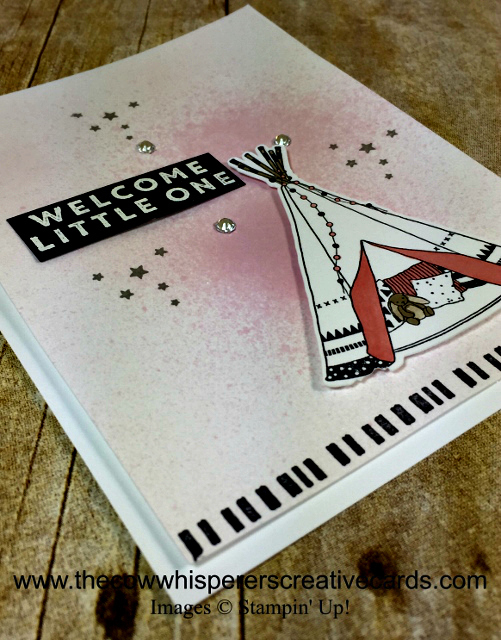 Thank you JilliBling for swapping with me for this adorable baby card. I must admit this stamp set did not grab my eye in the catalog. 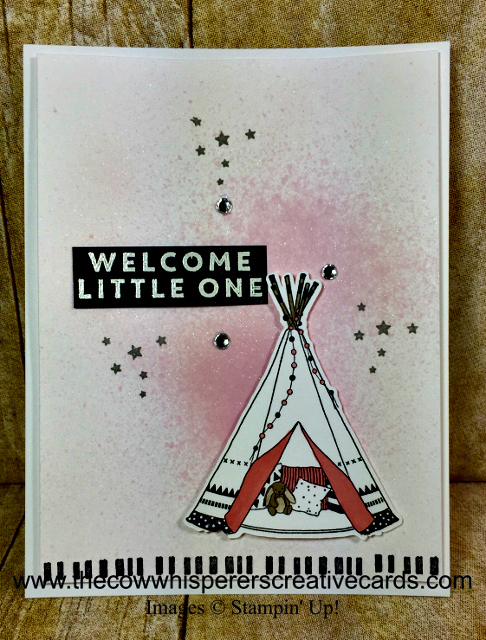 But OMGOSH I can't get over how stinking cute this card is. Why oh why didn't I grab it and play away with it. Unfortunately this stamp set is retiring and as you know I only keep current products on hand. But this shouldn't stop you from grabbing this set before its gone. Isn't it funny how sometimes we can't see the forest for the trees. That's exactly how I feel about this stamp set. Now that I have this card in my possession I just see all types of possibilities.